I was fortunate enough to spend two consecutive summers at Raquette Lake Camp as a water ski instructor and these undoubtedly transpired into some of the best experiences I have had! I urge everyone to do it, whether it’s a summer between University years or as part of a gap year, you should go and work at a summer camp. To Travel! Many summer camps are located in remote and beautiful places such as northern New York, Maine and North Carolina. These remote locations are beautiful, with many surrounded by forests or lakes, which provide plenty of places for activities. The kids spend their summers at camps to get away from the big cities and what better way to do it, the smallest things matter there; such as just looking up at the sky at night are mesmerising- I can honestly say I have never seen so many stars before! The J1 visa which entitles you to work at a summer camp also gives you around a month to travel the states after camp is over. Many camps pay in US Dollars which works out perfectly as travelling money. Meet friends for life! Summer camps draw in counsellors from all over the world, I met new people from all over America, England, Australia and New Zealand. At first whilst it may seem scary going and not knowing anyone, everyone is in the same boat, you will make friends quickly especially with your co bunk counsellors and those doing the same activity as you. Unique Experiences! There is a big difference between going on holiday to a place and living there. I had visited America many times before going to summer camp, but I found it was a massive culture shock which surprised me. Interacting with people from countries other than your own and learning about their way of life was so interesting. Being in America during the summer also meant I got to experience 4th of July celebrations, which was a once in a lifetime experience that I won’t forget. Camp Traditions! All camps are different, have their own traditions and special events. The camp I worked in had a number of traditions including various chants at lunchtime and dinner, special songs and brother/sister activities with the boys camp. Throughout the summer at various times they had special events, these included; Halloween trick or treating, an Hawaiian party, 4th July celebrations, the mini sing, the big sing, carnival, 6 chairs, breakout and team week. Team week was the biggest event, where the whole camp was split into two different teams and competed against each other in different activities throughout the week. Outside Benefits! 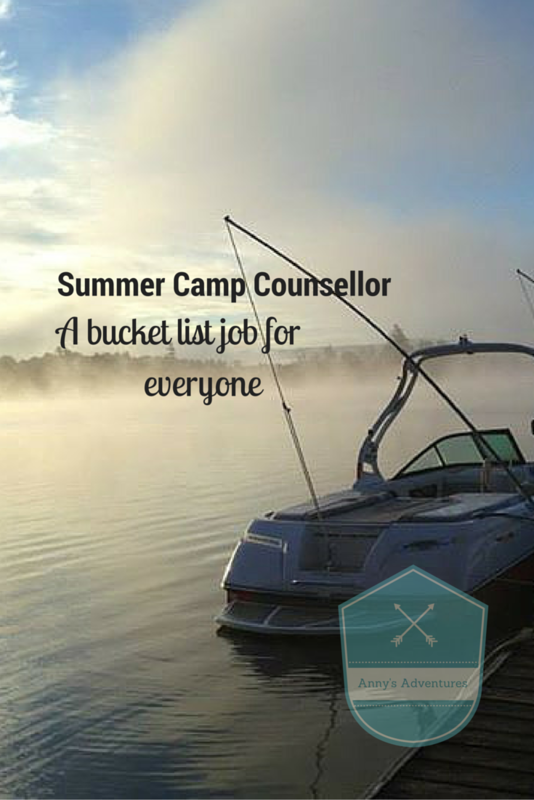 Working at a summer camp is also a very good thing to have on your CV, it allows you to give examples of a variety of skills and situations such as; team work, childcare, patience, commitment, adaptability, cultural changes and many more. I can’t count the number of times in job applications or interviews where I have benefited from my summer camp experience. Hard Work! Working at a summer camp isn’t an easy thing to do, the hours are incredibly long, often working from when you wake up to when you fall asleep with a few hours off during the day. You will get some nights off, our nights off started at 9:30 pm and ended at 12:30am. Both years at a camp I completely forgot I was being paid, it was such a good experience that I would have potentially undertaken it without being paid. All these opinions are my own, but if you have the slightest desire to work at a camp, do it- you definitely won’t regret it. There is no better way to travel and work in another country whilst making memories that last a lifetime.